Discover more of the region with an Algarve river cruise. There are two rivers flowing north to south. The Guadiana at Vila Real de Santo António which is right on the Spanish/Portuguese Border and the Arade at Portimão. Depending on your location, there are two different trips available. You can enjoy an all day cruise sailing from Vila Real and head north to a small fishing village for lunch. Spend some time swimming and then a gentle cruise back. 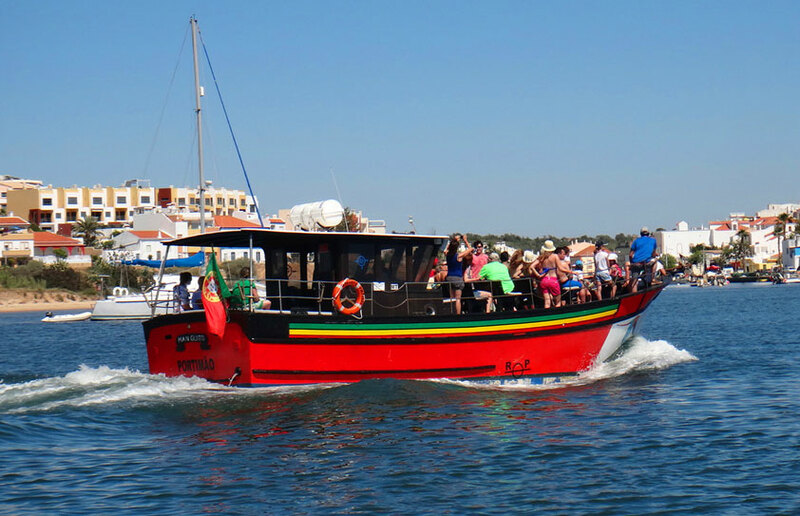 Alternatively, cruise up the Arade from Portimão to the historic former capital City of the Algarve, Silves. Take some time to visit the City and the ruins of the former castle. The cruise takes approximately 1.5 hours each way and you spend 1.5 to 2 hours exploring Silves. A 3 course meal is also served on the journey up to Silves. Alternatively, we can book the entire boat for you, capacity is 16. If this sounds interesting, call us or fill in the form below. We will discuss these trips with you, answer any questions and ensure we provide everything you need. Please provide as much notice as possible in the summer months.